Lately, I've been on a quest for some pre-teen girl's Easter basket ideas. I have three tween nieces and like OMG plush bunnies and decorative chocolate eggs just don't kick it anymore. Can you say #hashtag lame? What girl doesn't love painting her nails, right? out to visit a day at the nail spa is always on the agenda. They love to do all those fun and funky colors and designs on their nails. 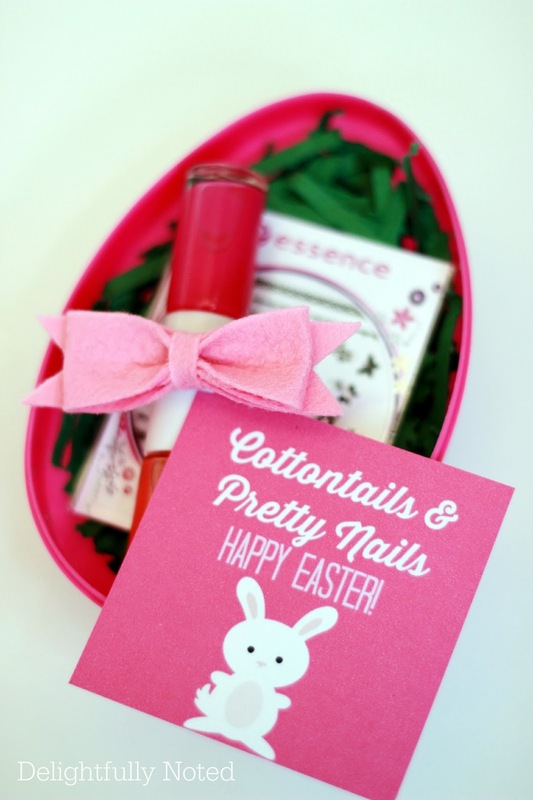 So I thought an Easter inspired nail kit would be an EGG-TASTIC idea. Punny, pun, pun... you guys know I love me some puns! 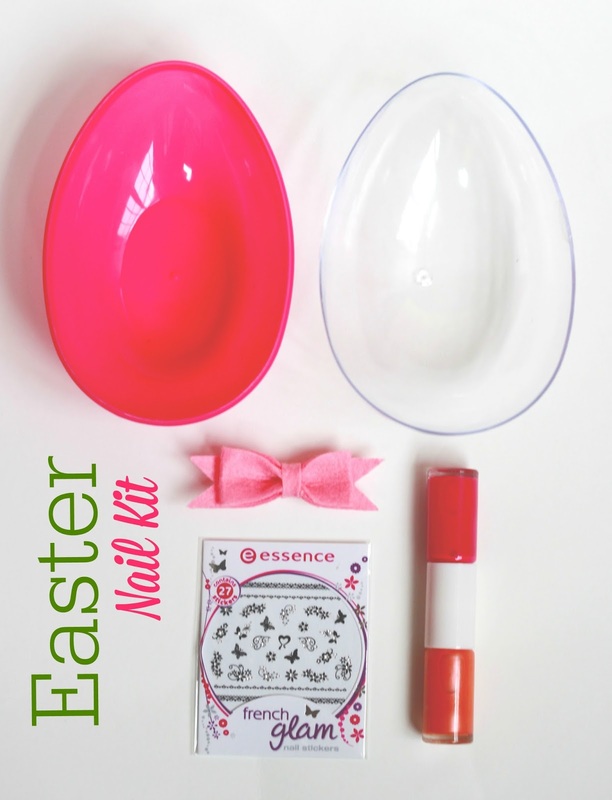 In case you would like to create your own little egg nail kit here's the deets. Both the pink plastic Easter eggs and felt bows were found at Michaels. The nail polish and stickers were picked up at Ulta. The cool double-sided polishes are from the Revlon Nail Art Expressionist line. Conveniently, the bows came attached to some doubled sided foam adhesive so I just simply stuck them to the bottles of nail polish. Next, I filled the bottom of my plastic eggs with some shredded green card stock. You can use Easter grass if you so desire but I found it was a little cray cray to work with --strands sticking out here, there, and every where. 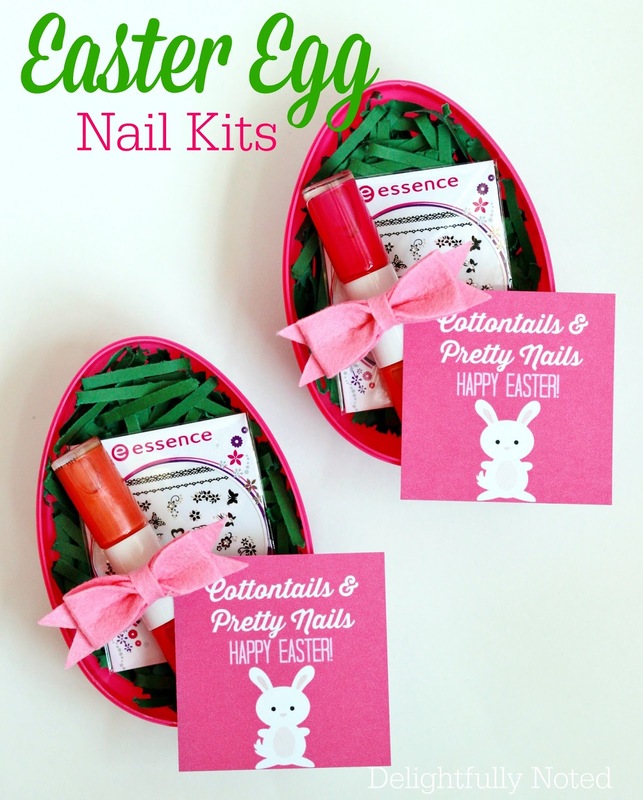 After you get your eggs filled with grass you can start adding your nail kit supplies. These eggs are a generous size so you could even add buffers, nail clippers, and other items if you want. Lastly, top off your kit with a cute Easter tag. 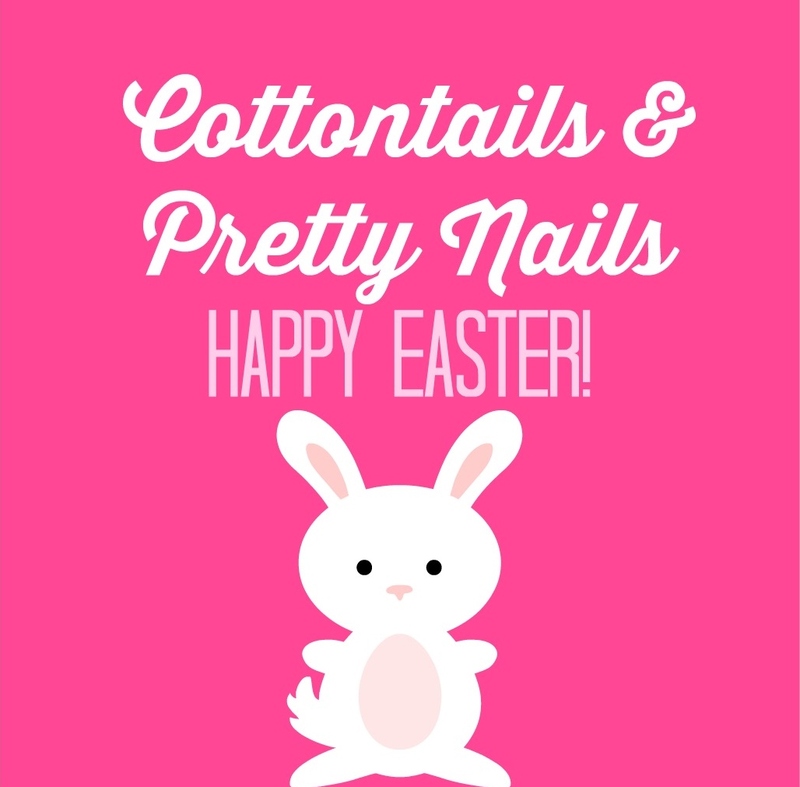 "cottontails and painted nails" rhymed perfectly! I wish I had genius moments like this more often. I created the tags using Pic Monkey . I thought their bunny was super cute. I'm thinking they will be as pleased as punch with their Easter goodies. I may need to dust of thee ol' mantle to make room for the" Aunt of the Year" trophy. Wink, wink. Love this and the puns! My daughter would definitely approve! What a cute idea!! So glad you linked up! Happy Easter Weekend! !